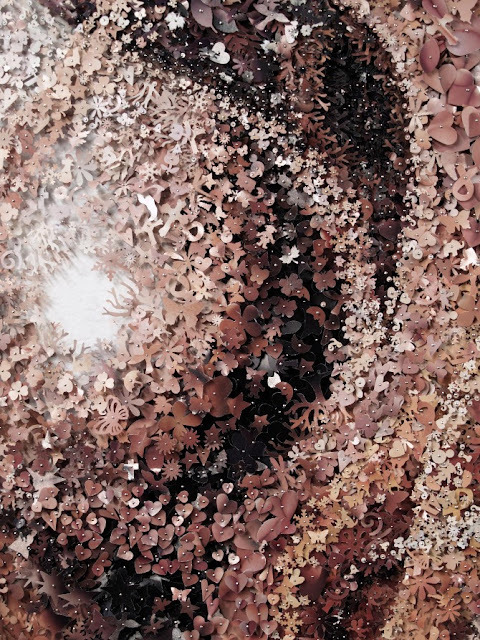 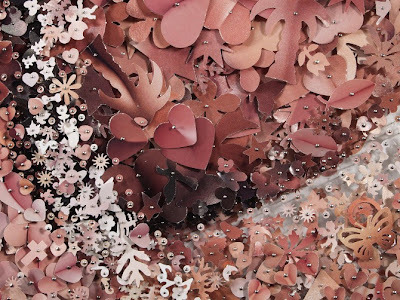 Intricately cutting magazines of skintones into beautiful shapes and pinning them down into an organic composition, David Adey has created a beautiful organic relief sculpture, titled 'Swarm'. 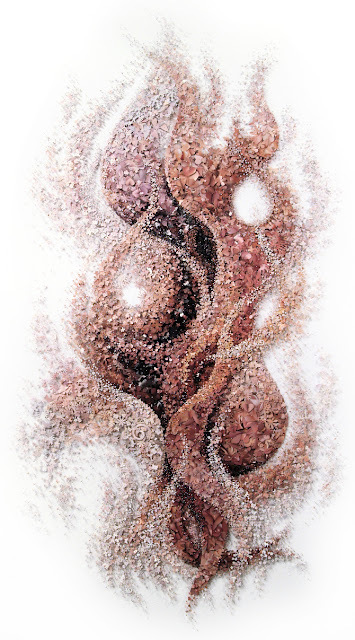 Arranged in a swirling organic arrangement, the subtle tones create dramatic depth and a symbiosis of bodies in a mysterious and magical way. 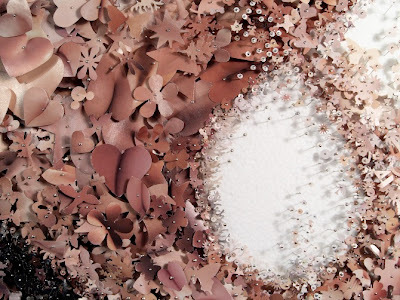 It lures you to take a closer look and discover the fantastic detail, each piece almost like a scale, forming a new skin.